Photo of: East Coast of Ireland: Meath: Boyne at Stachallan. This is one of my favourite views of the Boyne, taken from the lovely medieval Broad Boyne Bridge at Stachallan, and this particular photograph is one of my favourite ones of this scene. 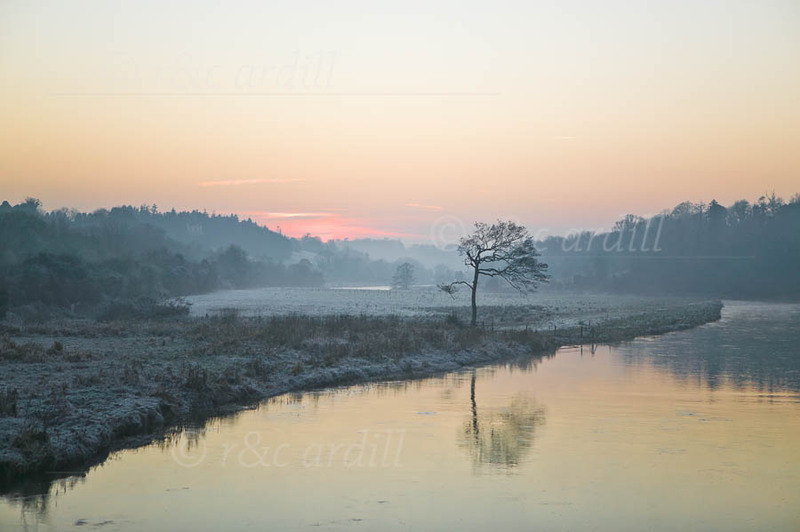 I love the lonely tree overhanging the river, the mist in the background and the last glimmer of the setting-sun.